A spiritual soldier, a multi-disciplinary scholar, a wandering monk and orator par excellence are some of the adjectives that best describe Swami Vivekananda who spent his life in search of truth and God. Well versed in the Vedas and other spiritual texts he is credited for popularizing the Vedanta philosophy and Yoga across the world. 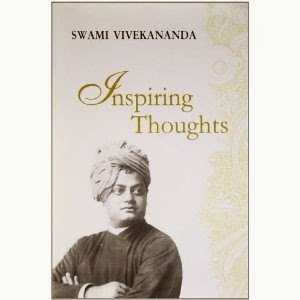 His books on the four Yoga's are considered the most definitive text for anyone interested in understanding its philosophy and practice.This selection of one hundred quotations and thoughts reveal the timeless genius and appeal of Swami Vivekananda.